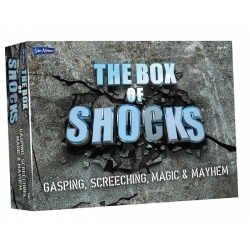 The Box of Shocks allows you to shock your friends and family with lots of wacky tricks. The reactions are shock and horror, but it’s all clean, clever trickery. 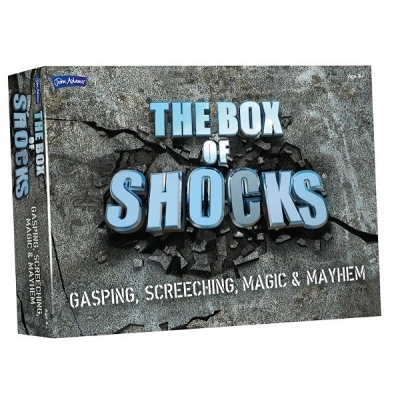 Every trick and gag in the box has just one target - to take your victim totally by surprise and extract a satisfying shriek!The box of shocks is a hilarious, appealing (non-staining) riot! 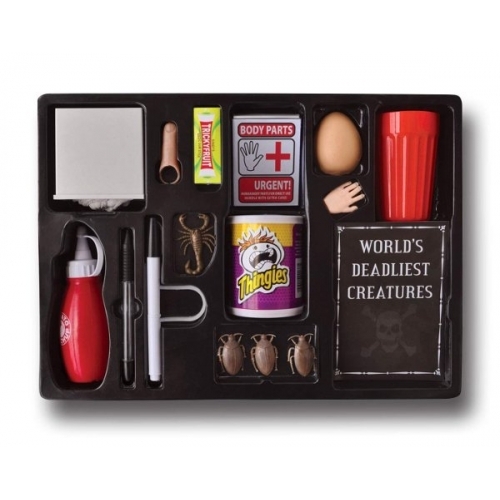 The box contains: Body parts box, Can of shocks, Spider box, Fake egg, Small Plastic hand, Vanishing ink, Ketchup bottle, World’s deadliest creatures, The magic glass, Squirting Chewing gum, Pen through hand, The finger breaker.